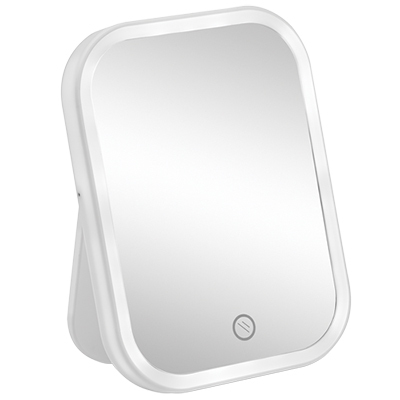 LED make-up mirror shows a true complexion, making it easy to match make-up to the skins natural color, achieving a flawless finish. Easy-to-use touch screen features on/off and dimming function. Fold out stand allows the option for the mirror to sit vertically or horizontally on table tops or vanities. Folds flat for easy storage and travel. Measures 6-1/2"H x 4-3/4"W. Requires 4 AAA batteries (not included).